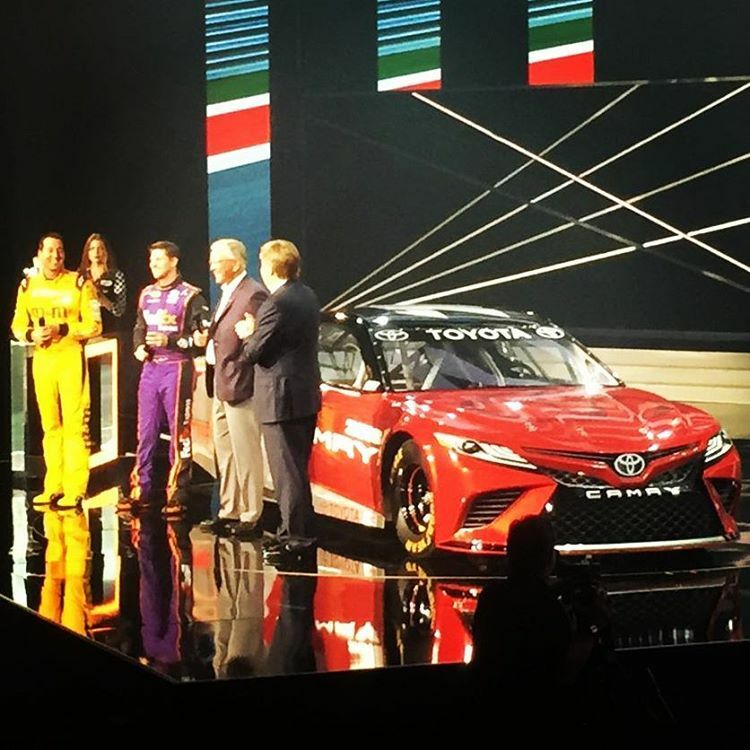 The photo, which leaked online via the VW Vortex forums, comes from a racing presentation that seems to introduce the next Camry NASCAR machine – peek through the poor pixel density of the image and notice that the white decal on the side of the vehicle seems to read “2018 Camry”. With the exception of SEMA projects, such as the 850 hp Camry, NASCAR beasts and their road-going “equivalents” have nothing technical in common. Nevertheless, based on the visual similarities we’ve encountered over the years, we can trust the racecars when it comes to staying pretty close to the appearance of the production vehicles they stand for. As such, the aggressive, almost Lexus Spindle Grille-like nose of the track tool we see here should make it into production. After all, it’s enough to look at the Japanese automaker’s recent vehicle releases to notice the company has decided to add some eye candy to its recipe. Advances in LED technology means McLaren is not the only automaker who can afford to come up with ultra-sleek headlights, so we might see the 2018 Toyota Camry delivering an overly sharp look. On the tech front, the new Camry might grow a bit, but its scale footprint will be smaller. Along with increased torsional rigidity, the diet will be a benefit of the new TNGA modular architecture underpinning the sedan. The 2018 Camry is also expected to mark the switch from naturally aspirated engines to a turbo-four, but the hybrid coming later on in the model’s life should be the most interesting proposal. Since next-gen Camry prototypes that are currently testing come fully covered in camo, we might have to wait for a date closer to the Toyota’s reveal, which is set for the 2017 Detroit Auto Show, for more clues on its design. Until then, you can go though the effort of memorizing the styling of the outgoing Camry in the image gallery to your right.